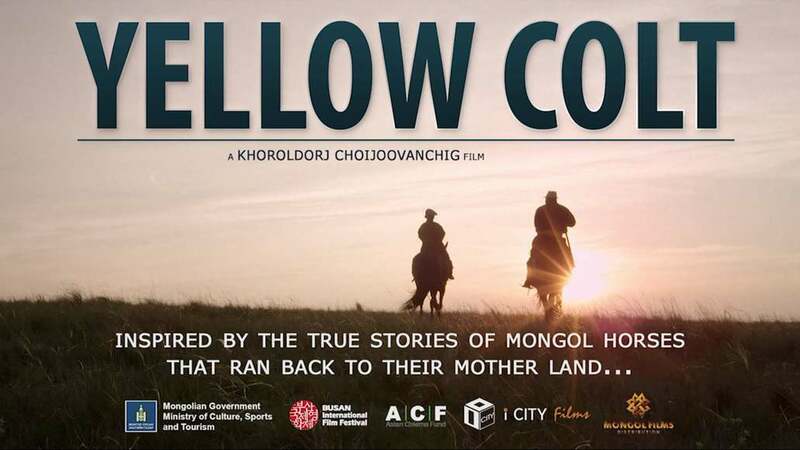 Part art-house, part mainstream, Khoroldorj Choijoovanchig’s debut is an interesting film from Mongolia, and probably one of its most known products. Galt was a sick kid since the birth, and his father Badam, after listening to the advice of a warlock, sends him to grow up with his uncle. However, as the movie begins, the uncle dies and the pre teen boy returns to his estrange family. Initially he struggles to adapt, despite the efforts of his brother Tomor and father. However, as Badam is preparing his herd of horse for the Naadam race, a famous competition that takes place in the area, a yellow colt that seems lost enters his herd, and Galt takes an immediate liking to it, identifying with its fate. Despite the protests of their father, the two boys train the new horse, which proves to be an extremely fast one. However, as their effort in the race is utterly successful, a number of people seem to wish to acquire the colt, particularly since it does not actually belong to Badam’s herd. 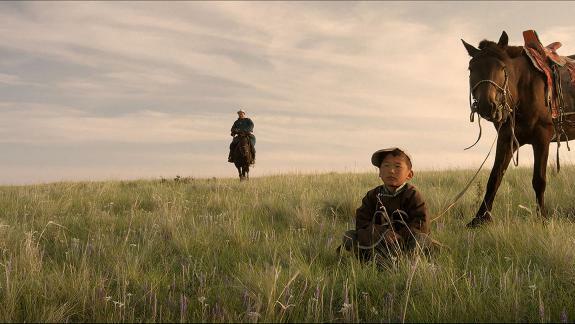 Choijoovanchig directs a film that functions as a Mongolian western (with some shamanic twists), a coming of age, and an art-house film, with the three elements having almost equal time on screen. The horseracing and the adventures that result from the people who want to steal the yellow colt represent the first element. The way Galt experiences his return to his parents, the way he identifies with the horse and the bonding with it form the second element. The focus on the beauties of the landscape and the slow, mellow pace, direct to the third. All of the elements are relatively well-presented, but the duration of the movie (91 minutes) does not allow Choijoovanchig to truly invest in any of them, with the episodic nature of the script intensifying this aspect. In that fashion, in terms of narrative, “Yellow Colt” remains interesting for its whole duration, but does not become captivating, almost at any time. Visually, on the other hand, the film is more than impressive, with Yusuke Kato’s cinematography capturing the essence of the nomadic life of the Mongolians in the most exquisite fashion, highlighting both its simplicity and its beauty, particularly regarding the overall setting. The capturing of the horseracing is also quite good, although the slow-motion moments could be less. Narankhuu Bayarkhuu is quite good as the struggling Galt, with him being equally convincing both in his sad and happy moments. Tserenbold Tsegmid’s Badam is also well-presented, with him, in essence, anchoring the film in terms of acting, having to exhibit a variety of emotions, although nothing extreme.